English Apples & Pears has warned that apples are in short supply, despite new figures claiming a bumper European crop. Last week the World Apple & Pear Association released its annual forecast, in which it predicted a total of 12.6 million tonnes of EU-grown apples, representing a 36 per cent increase on last year's low figure, and a three per cent rise compared to the average of 2014-16. However EAP has argued that the headline figures disguise the fact that events on a global scale are impacting the supply and demand balance. Specifically, the Chinese crop is set to be down by 28 per cent, or 12mt of fruit, which equates to the entire European crop. The southern hemisphere crop has also experienced some quality issues in the final few weeks of sales, meaning there will be no crossover of fruit to take shelf space in Europe. US president Donald Trump's trade war could also impact the global apple industry as fruit gets caught up in the political crossfire. Europe has also faced a challenging growing season, with a drought from May until August in many places, higher fruit drop than average in northern Europe, and issues around colour and fruit size. 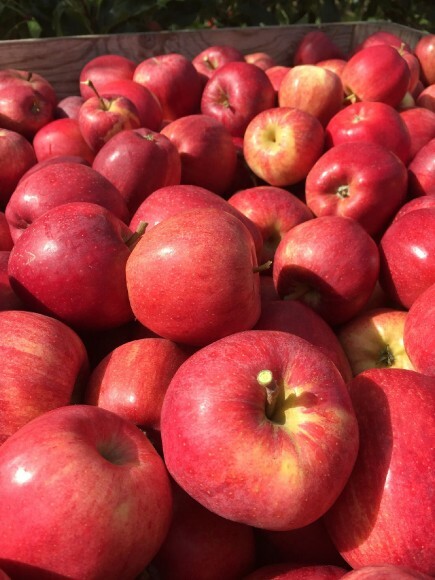 British growers are not anticipating a bumper crop, but say fruit will be the "tastiest this century" thanks to sunshine at the right point in the season.